A pinafore is like the “little black dress” in the girl world, no wardrobe is complete without one. Ariella has used her old school tailoring techniques to create an exceptionally well made garment. There is a lot going on in the inside of this garment to achieve the perfect fit and to make it last. 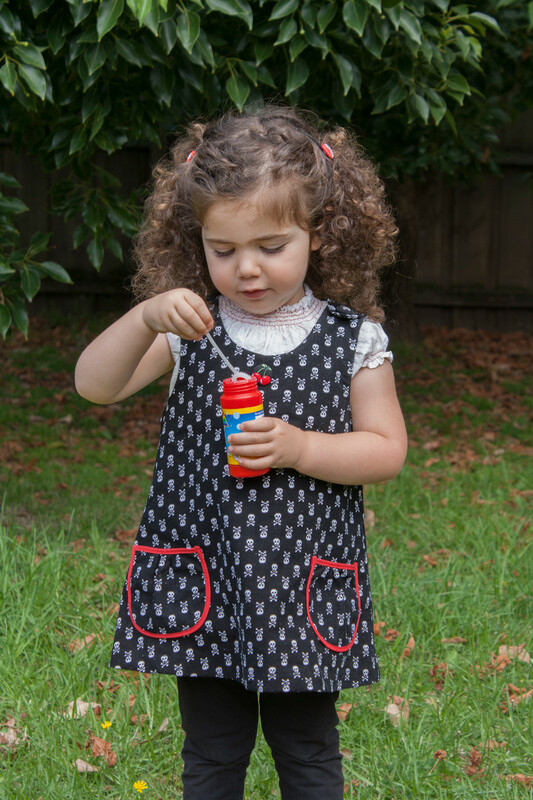 Each tailored pinafore is unique and has different buttons and trims to suit the lovely fabric. Want the complete look? Team up with Ariella’s smocked tops, bloomers and accessories. Tailored pinafores also look great in winter with thick tights.